October | 2014 | Welcome to the RW Carbon Blog! If the normal 907 HP McLaren P1 was not enough to give you that warm super car feeling then this new monster surely will. McLaren has just released details on the new McLaren P1 GTR, a 986 horsepower beast that is purely designed for track use. The price tag? A mere $3.17 million which does not only include the car but also a tailor made program for each owner to get acquainted with their new play toy. Since its appearance at the Pebble Beach Concours d’Elegance in August we have seen very little of this car until now. Final pictures of the production version as well as pictures of the very anticipated interior. McLaren has design the interior to focus on the needs of the driver as much as possible and even using a similar steering wheel to that of the McLaren MP4-23 Formula 1 car that was driven by Lewis Hamilton. Unlike a typical steering wheel this one looks to be straight out a video game with easily reached driver mode switches so your hands never have to leave the wheel. The P1 GTR is not yet reached the production stage but is currently underway in a series of rigorous tests on several race tracks. 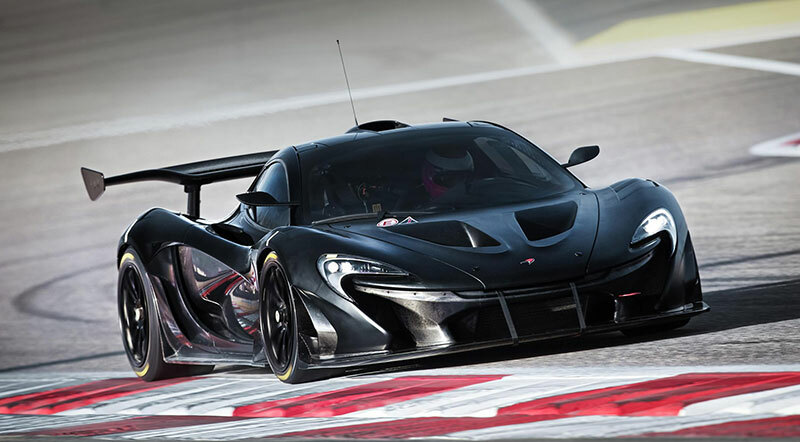 In the video below you can see the P1 GTR going around a grand prix track in Bahrain, which is testing how well the car will do in hot conditions. The power plant of this new hyper car is very similar to the hybrid system that is seen on the street version P1, but the power has been boosted by 83 HP. Production of these P1 GTRs are set to start after the production of all 375 road-going P1s are finished. Speaking for all our auto enthusiast readers, I hope that comes soon. 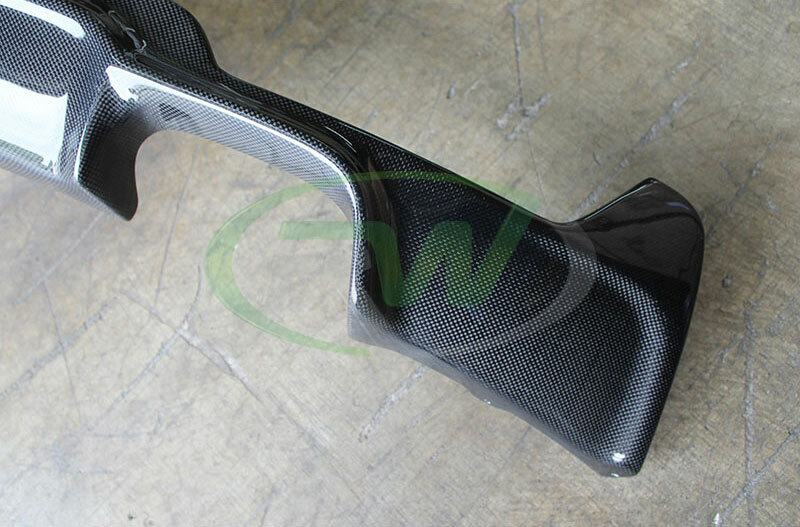 More information will be leaked on RW Carbon’s blog as more information is available. Jim came to RW Carbon looking for some carbon fiber accents for his 2013 Mercedes C63 AMG 507 edition prior to even having the vehicle. We were able to work out a slew of carbon fiber exterior upgrades for his 507 that arrived to him before he even picked the car up! Up front Jim went with the black series style carbon fiber lip which not only sets off the front end look of his 507, but gives in that desirable C63 AMG Black Series appearance. As we move towards the rear of the C63 for the side view he opted for a set of the carbon fiber mirror covers that install directly over the existing painted mirror cover housings. Easy installation with 3M double sided tape and an updated look. 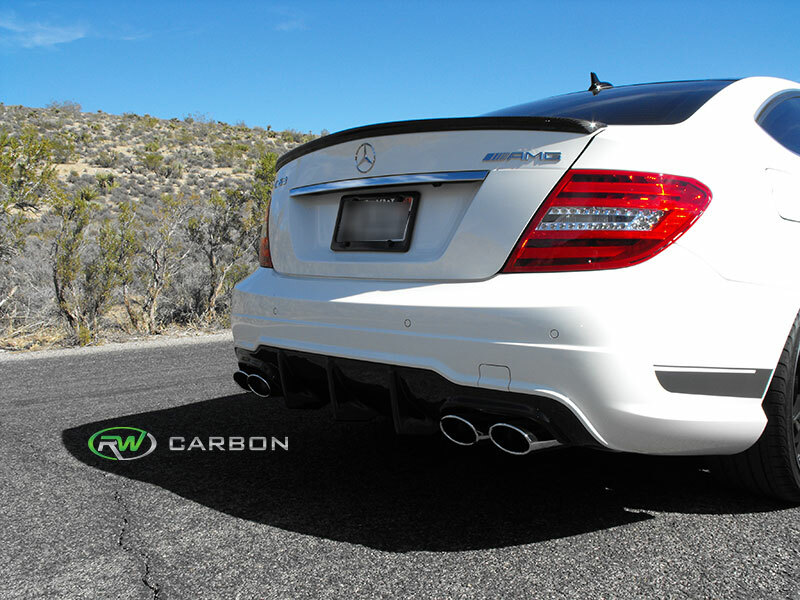 At the rear Jim sprung for the ever-popular big fin rear C63 diffuser in carbon fiber to accentuate the exhaust system. As well as the carbon fiber C63 trunk spoiler for the coupe. The use of plastics has continued to rise in all industries including the automotive world. With so many plastic variations now available, it’s hard to keep them all straight. So to help ease the confusion behind all the different types of plastics used in manufacturing, RW Carbon presents our Intro to Plastics. Most automotive manufacturers including Audi, Mercedes, BMW and Porsche all use polypropylene as their number one choice for bumper construction. All of RW Carbon’s front/rear bumper, side skirts and some front lip spoilers like the BMW F30 Performance Style Front Lip Spoilers are made of this type of plastic. RW Carbon uses ABS plastic the most out of all the plastics named. This is due to its ease of molding and durability for our customers. We use this material in a range of items like: roof spoilers and trunk spoilers, grilles and the base for the majority of our carbon fiber accessories. 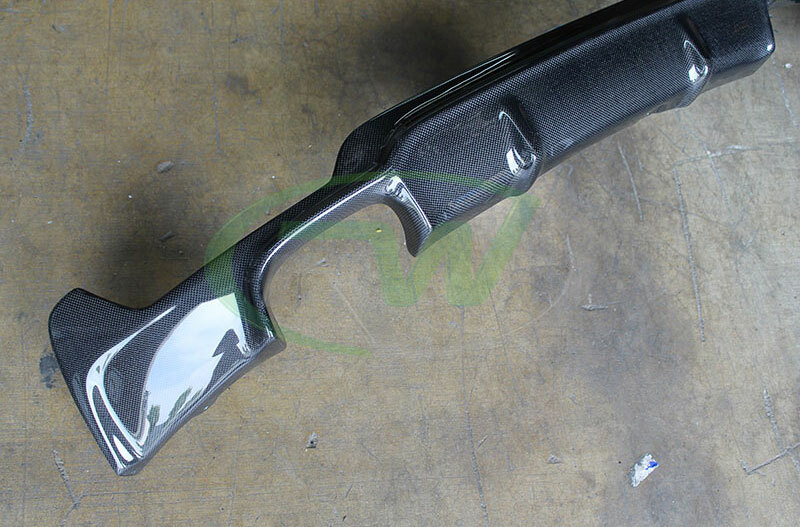 Products like the Mercedes Carbon Fiber Mirror Replacement would not be able to achieve the rigidity and durability needed if they were merely built from carbon fiber. The use of ABS plastic allows us to produce a product line that not only looks great and performs but it cost efficient as well. Polyurethane is categorized as a polymer and is composed using a chain of organic units joined by urethane links. Polyurethane is probably the least used plastic material that RW Carbon uses for our products. It has very similar properties to polypropylene however it tends to be more brittle and prone to cracking. 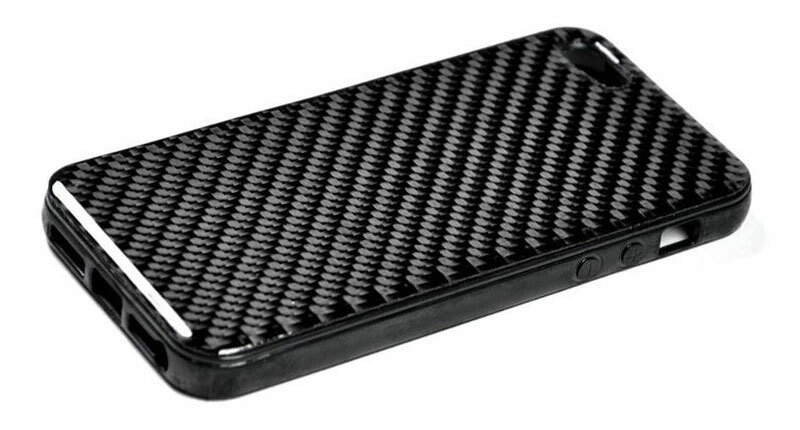 For some products like our Carbon Fiber iPhone case this is not an issue, but when it comes to a full bumper, polyurethane does not make the cut. We just got in our shipment of a very special piece many of our 4 series customers have been waiting for. 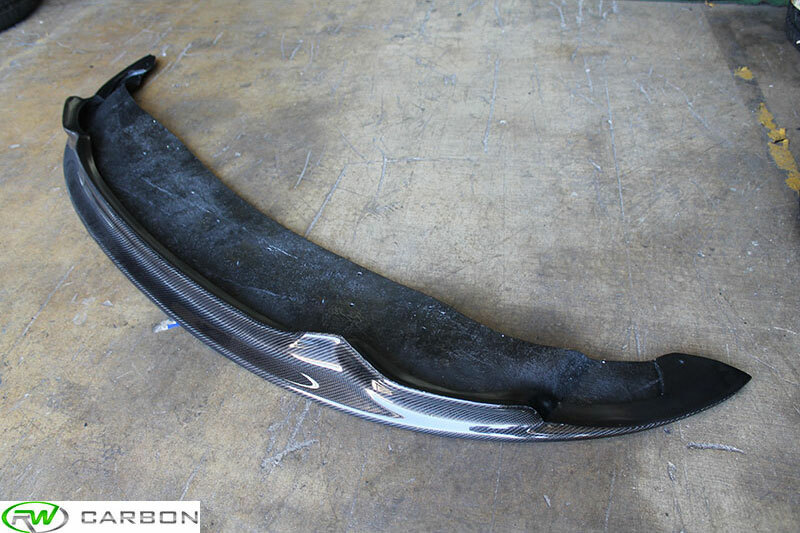 This piece is the BMW F32/F33 435i Quad Carbon Fiber Diffuser. This diffuser features the desirable 3D styling and 1×1 carbon fiber construction. Compare our quad carbon fiber F32/F33 diffuser to the genuine 3D diffuser and save hundreds with the same exterior styling. With bolt on installation you can’t go wrong for the exterior aero of your 4 Series with the M Sport package. 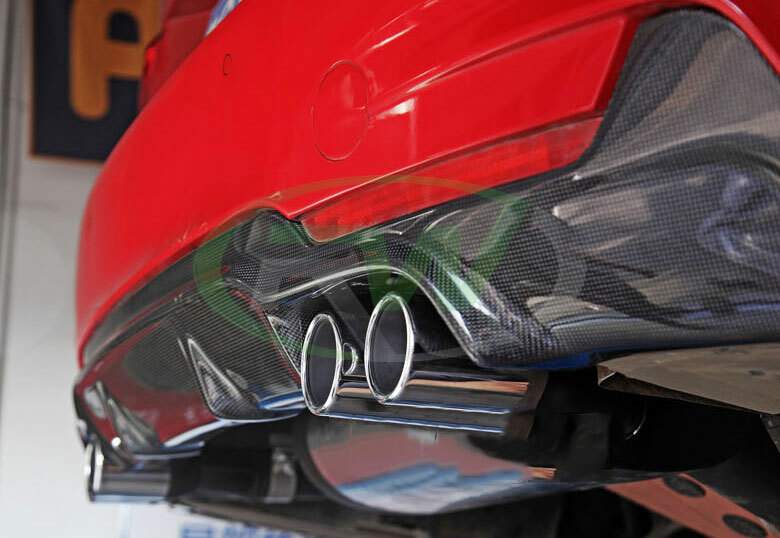 Please note to run this quad diffuser your 4 series must have an aftermarket quad exhaust system! Check out some detail shots of the piece below and of it installed on a 2014 BMW 435i. We all knew this day would one day come; the day that an automobile manufacturer would come out with a way to make carbon fiber available for an entire new class of car owners. 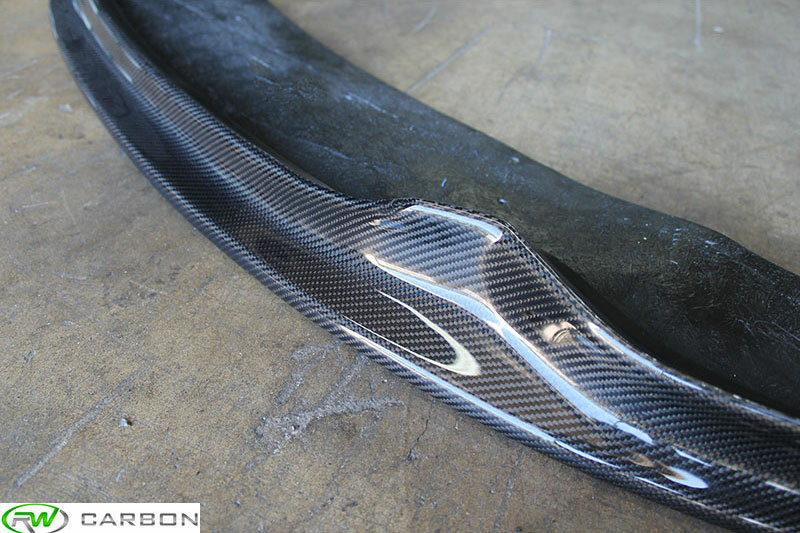 For too long carbon fiber has been left out of mass produced production vehicles due to the steep costs. However, due to some researchers backed by BMW this could all change within the next BMW generations. According to a BMW official they are over halfway to their carbon fiber cost cutting goal. Due to BMW’s high demand of carbon fiber, which is used in the new i8, i3 and M3/M4 models, BMW needed to find a more cost efficient way to produce it. After seeing the benefits BMW, with the help of MAI Carbon Cluster Management (a research group that is funded by the German Federal Government) was able to make progress towards reducing carbon fiber costs by 90%. BMW is not the only ones backing MAI, in search of a cheaper carbon fiber. Over 70 other automobile manufacturers, including Audi, are supporting MAI. These manufacturers have been seeking for a new product to replace the far less efficient steel. Merely years ago carbon fiber was only used for super cars but is now closer then ever to be used in every mass produced vehicle. This is because CF used to be $20 for every 2.2lbs while steel was compared at less than $1 for steel. With these huge advancements it is only a matter of time before we see carbon fiber and other composite materials on our cars more than steel or aluminum. New Product for BMW 328i, 335i, and 335is Owners! 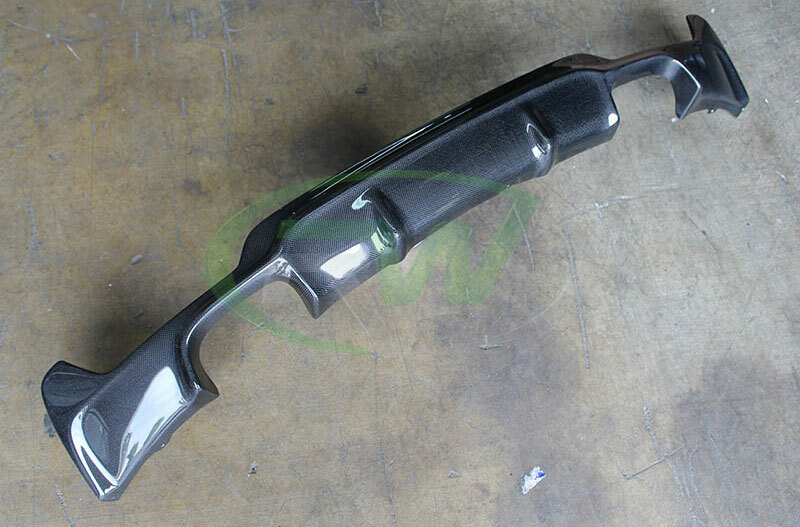 We just go our shipment in of the highly anticipated BMW E92 and E93 Arkym Style Carbon Fiber lip for the M Tech bumper. 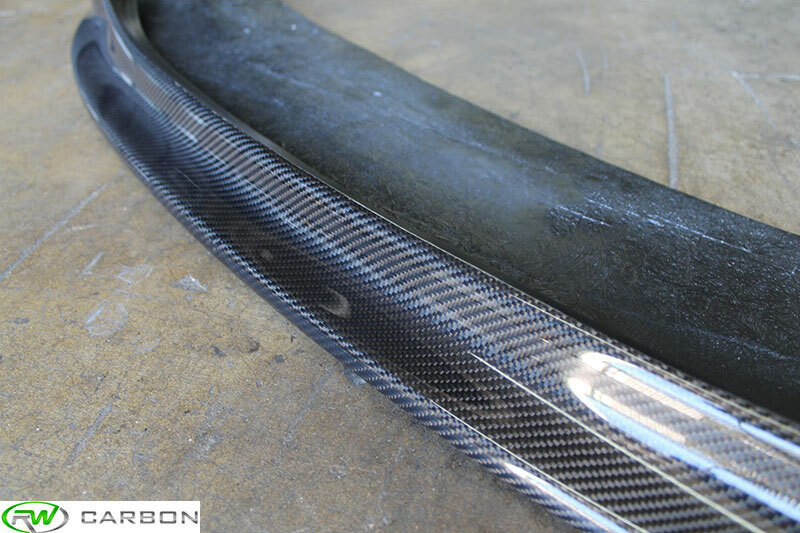 Our lip features wet carbon fiber construction that is skillfully molded to mesh with the front end styling of your E92 or E93. We then complete the lip with a clearcoat which protects the finish and ensures it maintains a lasting shine for years to come. 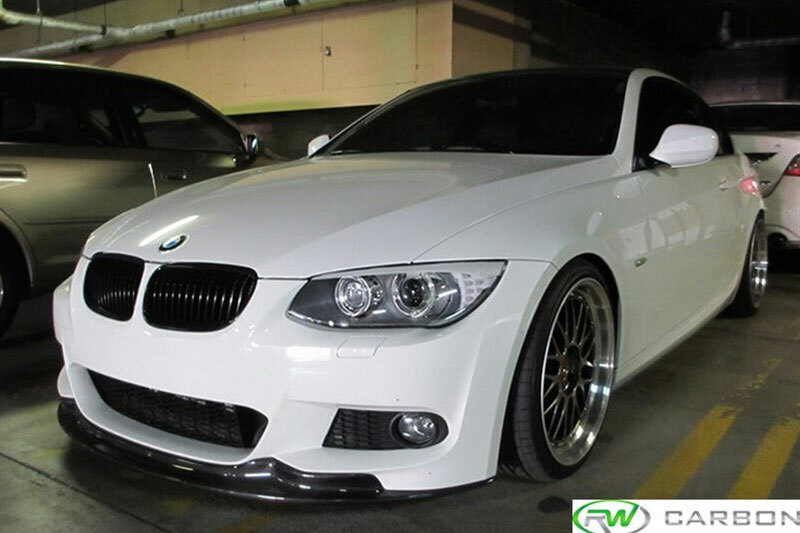 For this front lip spoiler to work with your vehicle you must possess a 2011-2013 BMW 328i, 335i, or 335is with the M Tech front bumper, coupe and convertible models only. After many years of abuse and hard laps, BMW Motorsports has decided to replace the Z4 GT3 for the M6 GT3 in the 2016 GT season. BMW believes that a new face lift is needed to represent them, and what better car to bring in many more victories than the M6. 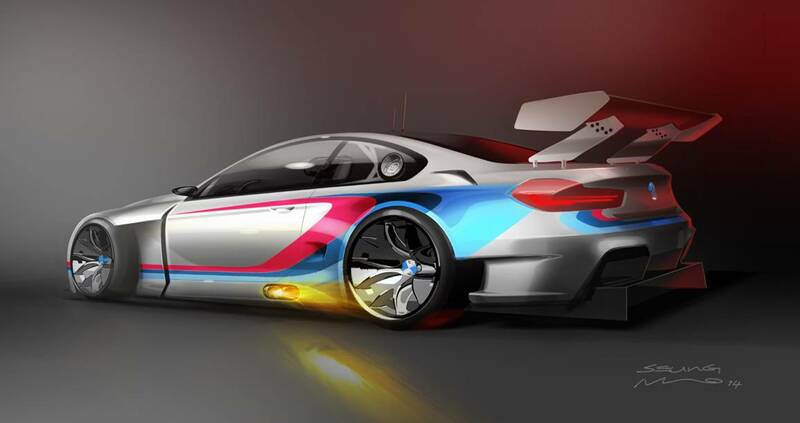 BMW has already begun development on the GT3 car and are planning to have it finished by the first quarter in 2015. 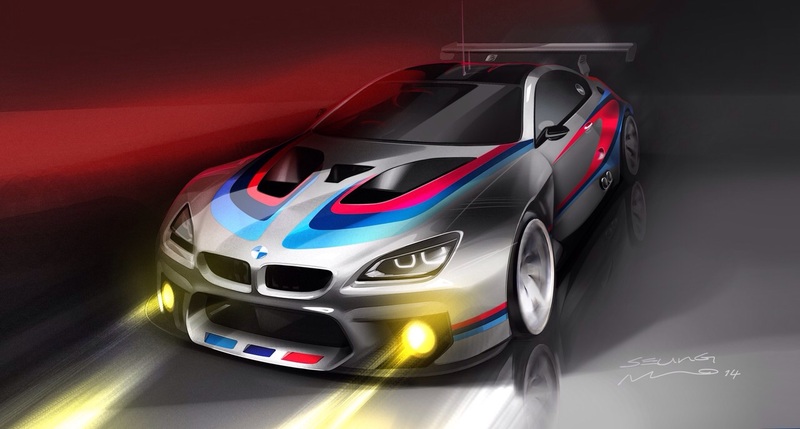 Once the first M6 GT3 is completed, BMW will allow customers to purchase their very own by the end of 2015. The typical production BMW M Twin Power Turbo 4.4L 8-cylinder engine has been modified specifically for racing. The chassis has been stripped and is being rebuilt by hand to withstand the demand of a racing career. Everything from technology to the drive train is being pulled and rebuilt in BMW Motorsports workshop in Munich (DE). This car will be completely redesigned to take and dish out some of the best racing we have seen in the GT racing circuit.